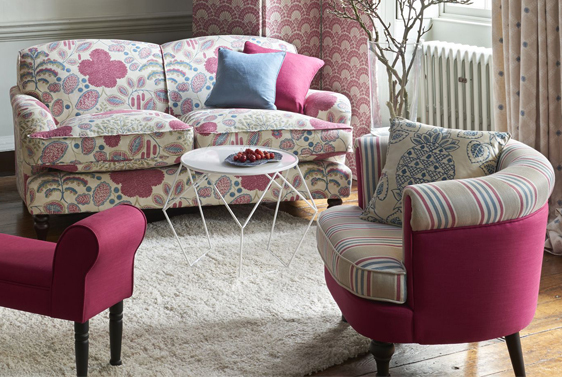 Clarke & Clarke design beautiful, unique upholstery fabrics that add colour and vibrancy to any home. 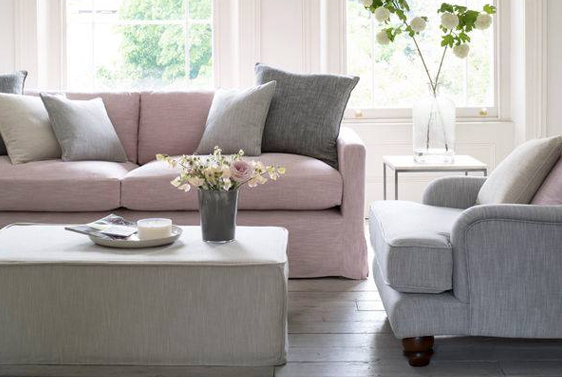 Choose your perfect style to bring a room together or have a contrasting sofa that becomes the focal point. 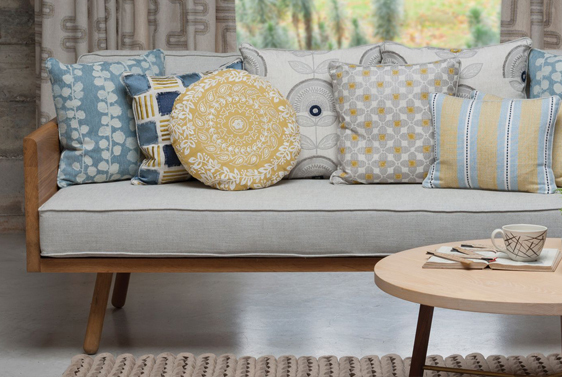 Hand-pick from a wide selection of designs including geometric prints, colourful floral patterns and classic plain fabrics in an assortment of colours. 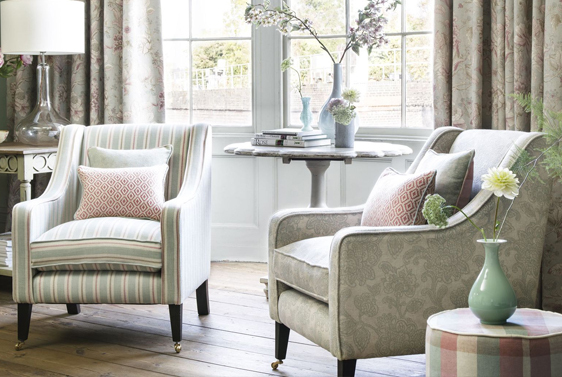 Here at Broughton House Interiors we have a wonderful selection of Clarke & Clarke fabrics to create your very own bespoke sofa that will be handmade in Leicester.